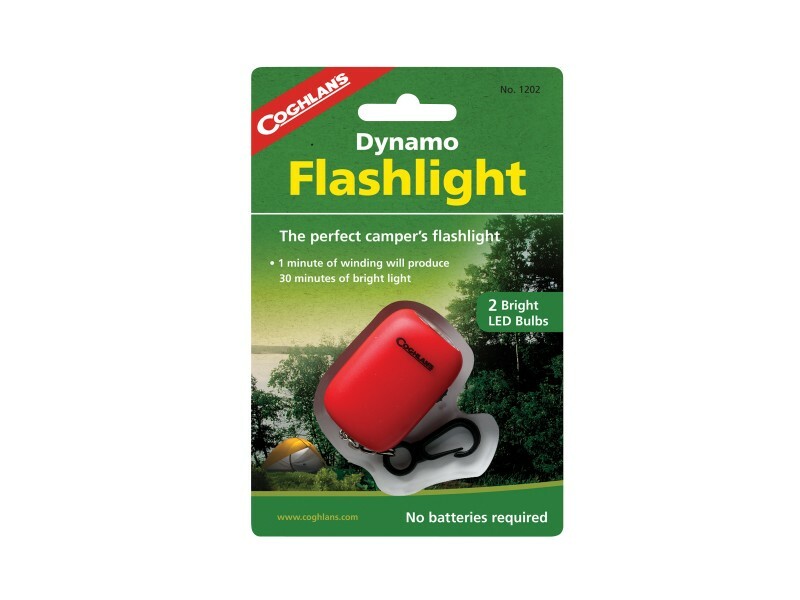 Buy Dynamo Flashlight , from Coghlan's Ltd for $5.99 only in My e-commerce. It’s the flashlight that never lets you down! Great for home, in the car, in your camper, boat, or storm emergency kit. It uses no batteries and contains 2 bright LEDs. Just crank it for one minute to get up to 30 minutes light!